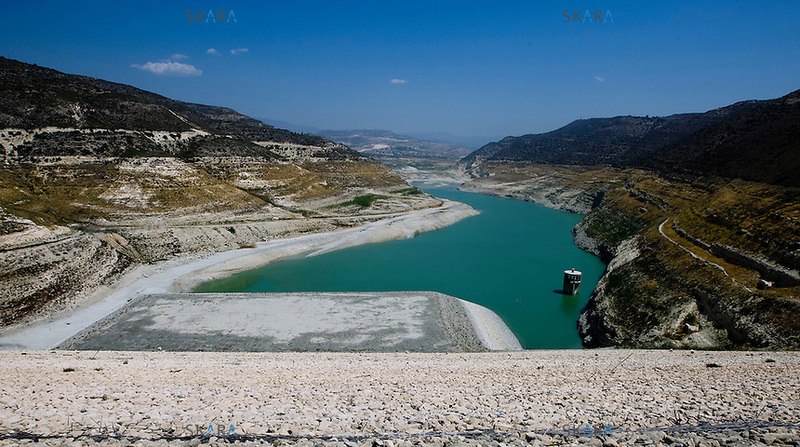 The water level in Kourris dam, when full, is marked by the dark vegetation high on the hills. Now it's nearly empty like the other 55 damns in Cyprus. Agriculture doesn't get any water from the reservoirs, boreholes are used to water the plants and livestock..